The 23rd annual Western ArtWalk strides back into town on Thursday, Nov. 8 from 7-9pm, presented by the Scottsdale Gallery Association in conjunction with the Phoenix Art Museum’s “West Select” Sale & Exhibition, Arizona Collector’s Guide and the City of Scottsdale. Each year, the historic Arts District recollects its Western roots and artsy beginnings with a colorful roundup of top cowboy art and sweeping Southwestern landscapes. Scottsdale is where the New West and Old West have long converged – in spectacular galleries of every kind! Check out all the individual receptions and shows listed on ScottsdaleGalleries.com, or just “ArtWalk the Line” to every corner of the Arts District (colorful sidewalk decals can take you there!). Out on the boardwalk there’ll be a special music lineup – sponsored in part by True West magazine – adding just the right flavor to this fun evening out. Musical attractions include singer-songwriter Mary Hoffman (great album! 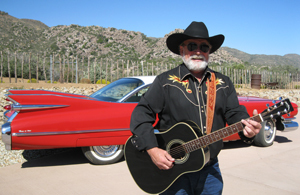 ), ol’ cowpoke guitar slinger Denny Kuller (just in from Skull Valley, Arizona) and the “Cowgirl Jazz” of LeeLee Robert. Watch for a live art demonstration courtesy of Studio 1307 where passersby will be invited to see how “quick they are on the draw” (at an easel), too! For refreshments, join in ArtWalk’s Taste of Wine, with tastings in six participating galleries (purchase of a special souvenir wine glass will help support nonprofit arts efforts). Local food purveyors will also be selling baked goods or coffee delights to support ArtWalk’s YEA! Young & Emerging Artists program. See ArtWalk’s Preferred Restaurants list for additional tasty ideas and ArtWalk culinary specials nearby. This year’s Western ArtWalk sets the down-home tone for a whole series of events that will be happening Nov. 8-11, from Thursday through Sunday. The ArtWalk kicks off “Scottsdale Fall for the Arts” Week which includes the Phoenix Art Museum’s “West Select” Sale on Friday, the Main Street Quick Draw Auction on Saturday afternoon, the Scottsdale Artists’ School’s Beaux Arts Gallery on Saturday night and much, much more from SMoCA, Scottsdale Public Arts and the Scottsdale Center for Performing Arts. For the full scoop on several more artistic happenings, visit the Arts District website at ScottsdaleGalleries.com and click “Scottsdale Fall for the Arts”. As always, the people watching will be fantastic as the cowboy and cowgirl look often prevails up and down Main and Marshall, so don’t miss a refreshingly different kind of autumn evening on Nov. 8. Scottsdale ArtWalk can be found just west of Scottsdale Rd. along Main Street and on Marshall Way north of Indian School Road to Fifth Avenue. The Western ArtWalk is a free event with plenty of nearby free parking, and easy access to local hotels or famed Scottsdale eateries. Take a free trolley or horse-drawn carriage ride to and from all hotspots! 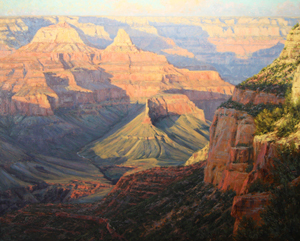 For more details or gallery show schedules, visit www.ScottsdaleGalleries.com.